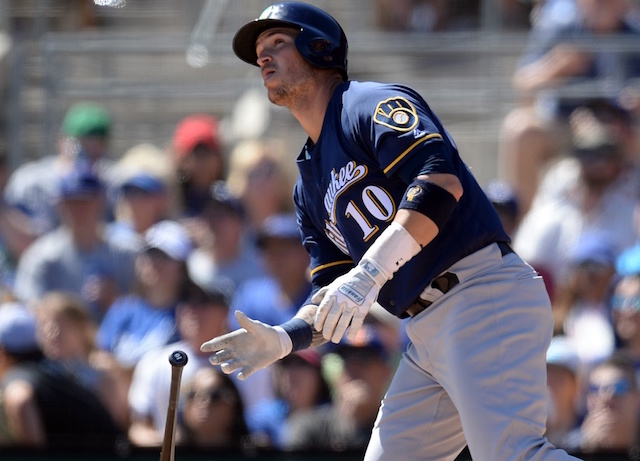 Hyun-Jin Ryu matched the number of hits he allowed through four innings but faced trouble in the fifth and sixth, and the Los Angeles Dodgers suffered an 11-5 loss to the Milwaukee Brewers, who took both Spring Training meetings by coming from behind. After going hitless in the first game against his former team, Yasmani Grandal stung the Dodgers by clubbing a two-run home run that cut their lead to 3-2 in the bottom of the fifth inning. The homer was Grandal’s first of the spring. 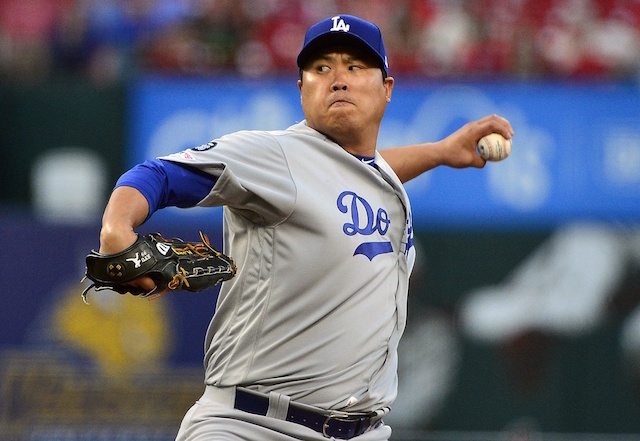 Ryu retired the next three batters but was then removed after allowing consecutive singles to start the sixth. After Pedro Baez walked the bases loaded, an error on Cody Asche allowed the Brewers to tie the game. Caleb Ferguson then inherited a bases-loaded jam with one out, only to immediately walk Grandal, giving the Brewers a lead. Ferguson’s trouble compounded from there, as Mike Moustakas’ sacrifice fly brought in another run, but it was Tyler Saladino’s three-run homer that broke the game open and ultimately proved to be the difference. Milwaukee batted around in six-run inning. 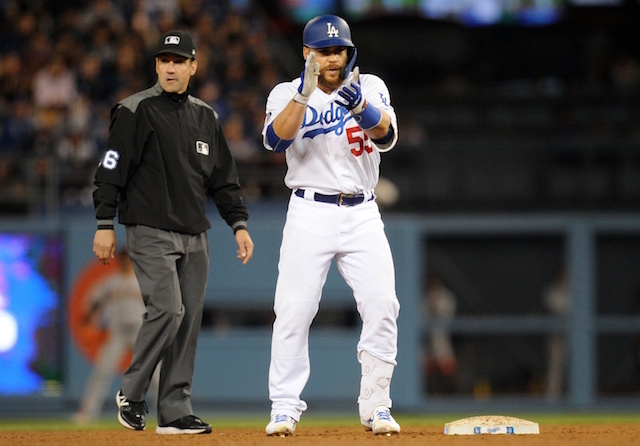 The Dodgers had at least one baserunner in three of the first four innings, but it wasn’t until the fifth that they managed to break a scoreless tie. Singles by Ryu and Brad Miller set the table for Justin Turner, who slugged a three-run home run. The homer was Turner’s second and gave him eight RBI this spring. The Dodgers otherwise found tough sledding against Brewers starter Corbin Burners. He allowed the homer and a total of five hits, but recorded nine strikeouts over five innings. Asche atoned for his error in some regard with a two-run homer in the seventh. While it got the Dodgers back into the game, Dylan Floro allowed three runs to come across in the bottom half of the inning.